This last summer month we have decided to bring you something special. 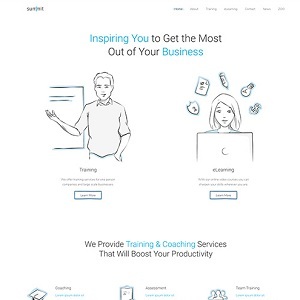 Summit – our August theme, is a business theme on eLearning and coaching. It has a clear design with complex illustrations and a recognizable style full of hand-drawn details. 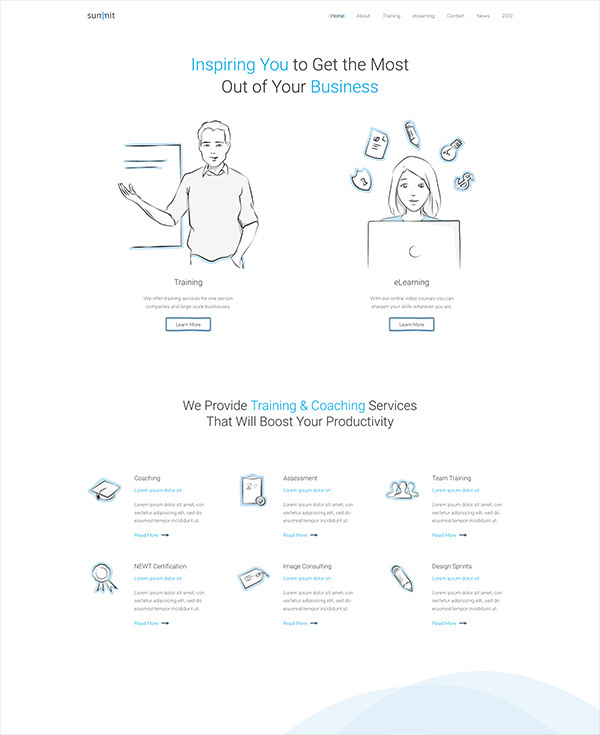 Its 7 layouts, 6 styles and free-to-use images provide you with everything you need for your eLearning and coaching related website. Let's dive into it.